This longitudinal and descriptive quantitative study investigates the efficacy of an English as a Second Language (ESL) instructional coaching intervention with urban secondary teachers (N = 22). Coached teachers participated in a 30-hour workshop and then six cycles of coaching targeting use of five research-based sociocultural principles of (language) learning called the Standards for Effective Pedagogy. Findings demonstrate instructional coaching led to unique and statistically significant (a) pedagogical transformation and (b) patterns of development for STEM and non-STEM secondary teachers. Implications for improving the professional development model for STEM teachers are discussed. Key Words: Instructional coaching; Professional development; Sociocultural pedagogy; Urban Secondary Teachers; STEM. Annela Teemant is an Associate Professor of Second Language Education (Ph.D., Ohio State University, 1997) at IUPUI. She has been awarded four U.S. Department of Education ESL teacher quality grants. Yuhao Cen is an Assistant Professor (Ph.D., Indiana University Bloomington, 2012) at the Graduate School of Education, Shanghai Jiao Tong University. Her research interests include teaching and learning, student development, and college experiences. Amy Wilson (M.S. ESL, 2013) is a graduate research assistant in the IUPUI English as a Second Language Master’s Program. Arnau, L., Kahrs, J., & Kruskamp, B. (2004). Peer Coaching: Veteran High School Teachers Take the Lead on Learning. NASSP Bulletin, 88(639), 26-41. Brown, D., Reumann-Moore, R., Hugh, R., Christman, J. B., & Riffer, M. (2009). Links to learning and sustainability: Year three report of the Pennsylvania High School Coaching Initiative. Philadelphia: Research for Action. Brown, D., Reumann-Moore, R., Hugh, R., Christman, J. B., Riffer, M., du Plessis, P., & Maluk, H. P. (2007). Making a difference: Year two report of the Pennsylvania High School Coaching Initiative. Philadelphia: Research for Action. Carrera, H. C. (2010). Enhancing Teacher Practice through Coaching: A Case Study in an English Language Learner Environment. (Unpublished doctoral dissertation). Temple University, Philadelphia, Pennsylvania. Cohen, J. (1988). Statistical power analysis for the behavioral sciences (2nd ed.). Hillside, NJ: Lawrence Erlbaum Associates. Cornett, J., & Knight, J. (2009). Research on coaching. In J. Knight (Ed. ), Coaching: Approaches and perspectives (pp. 192-216). Thousand Oaks, CA: Corwin Press, Inc.
Dalton, S., & Sison, J. (1995). Enacting instructional conversation with Spanish-speaking students in middle school mathematics. Research Report 12. Santa Cruz, CA: National Center for Research on Cultural Diversity and Second Language Learning. Desimone, L. (2009). Improving impact studies of teacher professional development: Toward better conceptualizations and measures. Educational Researcher, 38(3), 181-199. Doherty, R.W., & Hilberg, R.S. (2007). Standards for effective pedagogy, classroom organization, English proficiency, and student achievement. Journal of Educational Research, 101(1), 24-35. Doherty, R. W., Hilberg, R. S., Epaloose, G., & Tharp, R. G. (2002). Standards Performance Continuum: Development and validation of a measure of effective pedagogy. Journal of Educational Research, 96(2), 78-89. Doherty, R. W., Hilberg, R. S., Pinal, A., & Tharp, R. G. (2003). Five Standards and student achievement. NABE Journal of Research and Practice, 1(1), 1-24. Estrada, P. (2005). The courage to grow: A researcher and teacher linking professional development with small-group reading instructional and reading achievement. Research in the Teaching of English 39(1), 320-364. Fisher, D., & Kopenski, D. (2007). Using item analyses and instructional conversations to improve mathematics achievement. Teaching Children Mathematics 14(5), 278-282. Hilberg, R.S., Chang, J.M., Epaloose, G. (2003). Designing effective activity centers for diverse learners. Santa Cruz, CA: Center for Research on Education, Diversity & Excellence, University of California, Santa Cruz. Hilberg, R.S., Doherty, R.W., & Reveles, C. (2004). Training manual and resources for five standards coaching. Unpublished manuscript. University of California, Santa Cruz. Hilberg, R. S., Tharp, R. G., & DeGeest, L. (2000). Efficacy of CREDE’s standards-based instruction in American Indian mathematics classes. Equity and Excellence in Education, 33(2), 32-40.
populations. In M. Cochran-Smith & K. Zeichner (Eds. ), Studying teacher education: The report of the AERA Panel on Research and Teacher Education (pp. 477-548). Mahwah, NJ: Lawrence Erlbaum. mathematics. Reston, VA: The National Council of Teachers of Mathematics, Inc.
teachers: Enabling change in science teaching to meet the needs of Hispanic English language learner students. In D. W. Sunal, C.S., Sunal, & E. L. Wright (Eds. 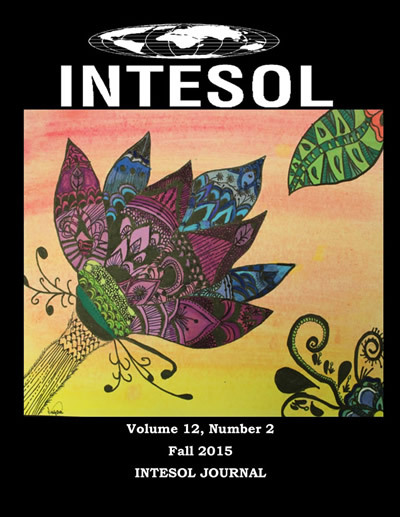 ), Teaching science with Hispanic ELLs in K-16 classrooms (pp. 233-252). Charlotte, NC: Information Age Publishing, INC.
Joyce, B., & Showers, B. (1995). Student achievement through staff development. White Plains, NY: Longman. Knight, J. (2009). Instructional coaching. In J. Knight (Ed), Coaching Approaches and perspectives (pp. 29-55). Thousand Oakes, CA: Corwin Press. English language learners in relation to Next Generation Science Standards and with implications for Common Core State Standards for English language arts and mathematics. Educational Researcher, 42(4), 223-233. Lewis, C., Enciso, P., & Moje, E.B. (2007). Reframing sociocultural research on literacy: Identify, agency, and power. Mahwah, NJ: Lawrence Erlbaum Associates, Publishers. Coaches Support Data-Driven Decision Making. Educational Policy, 24(6), 872-907. McGraw, K.O., & Wong, S. P. (1996). Forming inferences about some intraclass correlation coeffients. Psychological Methods, 1(1), 30-46. Murray, S., Ma, X., & Mazur, J. (2009). Effects of Peer Coaching on Teachers' Collaborative Interactions and Students' Mathematics Achievement. Journal of Educational Research, 102(3), 203-212. National Center for Education Statistics. (2010). The Condition of Education 2010. Washington, DC: Institute of Educational Sciences, U.S. Department of Education. Retreived from http://nces.ed.gov/pubsearch/pubsinfo.asp?pubid=2010028. states. Washington DC: The National Academies Press. Neuman, S.B., & Wright, T.S. (2010). Promoting language and literacy development for early childhood educators: A mixed-methods study of coursework and coaching. The Elementary School Journal, 111(1), pp. 63-86. Sailors, M. & Shanklin, N.L. (2010). Introduction: Growing Evidence to Support Coaching in Literacy and Mathematics. The Elementary School Journal, 111(1), 1-6. Saunders, W.M., & Goldenberg, C. (1999). The effects of instructional conversations and literature logs on the story comprehension and thematic understanding of English proficiency and limited English proficient students. Santa Cruz, CA: Center for Research on Education, Diversity & Excellence. Sleeter, C. E. (2008). Preparing White teachers for diverse students. In M. Cochran-Smith, S. Feiman-Nemser, D.J. McIntyre, & K.E. Demers (Eds. ), Handbook of research on teacher education: Enduring questions in changing contexts (3rd ed.) (pp. 559-582). New York: Routledge, Taylor & Francis Group and the Association of Teacher Education. Stoddart, T. Solis, J., Tolbert, S., & Bravo, M. (2010). A framework for the effective science teaching of English language learners in elementary schools. In D. W. Sunal, C.S., Sunal, & E. L. Wright (Eds. ), Teaching science with Hispanic ELLs in K-16 classrooms (pp. 151-181). Charlotte, NC: Information Age Publishing, INC.
replication study. INTESOL Journal, 9(1), 17-34. Teemant, A. Wink, J., & Tyra, S. (2011). Effects of coaching on teacher use of sociocultural instructional practices. Teaching and Teacher Education, 27(4), 683-693.
description of the Kamehameha Early Education Program. Reading Research Quarterly, 17(4), 503-527. Tharp, R. G., Estrada, P., Dalton, S. S., & Yamauchi, L. (2000). Teaching transformed: Achieving excellence, fairness, inclusion, and harmony. Boulder, CO: Westview Press. Vanderburg, M., & Stephens, D. (2010). The impact of literacy coaches: What teachers value and how teachers change. The Elementary School Journal, 111(1), pp. 142-163. Vygotsky, L.S. (1978). Mind in society: The development of higher psychological processes. (M. Cole, V. John-Steiner, S. Scribner, & E Souberman, Eds.). Cambridge, MA: Harvard University Press. Vygotsky, L.S. (1997). Educational psychology. Boca Raton, Florida: St. Lucie Press. Vogt, F., & Rogalla, M. (2009). Developing Adaptive Teaching Competency through Coaching. Teaching and Teacher Education: An International Journal of Research and Studies, 25(8), 1051-1060. Walsh, W.B. & Betz, N.E. (1990). Tests and Assessment (2nd ed.). Englewood Cliffs, NJ: Prentice Hall.